LionsDeal > Shop By Business > Asian Restaurant > Sushi Supplies >< Sushi Serveware > Thunder Group WOBR57 Large Wood Sushi Bridge 22"
Thunder Group WOBR57 Large Wood Sushi Bridge 22"
Display sushi rolls with originality when you use the Thunder Group WOBR57 Large Wood Sushi Bridge 22". This bridge is large enough to hold a selection of sushi rolls and its natural wood color will easily match any table setting. 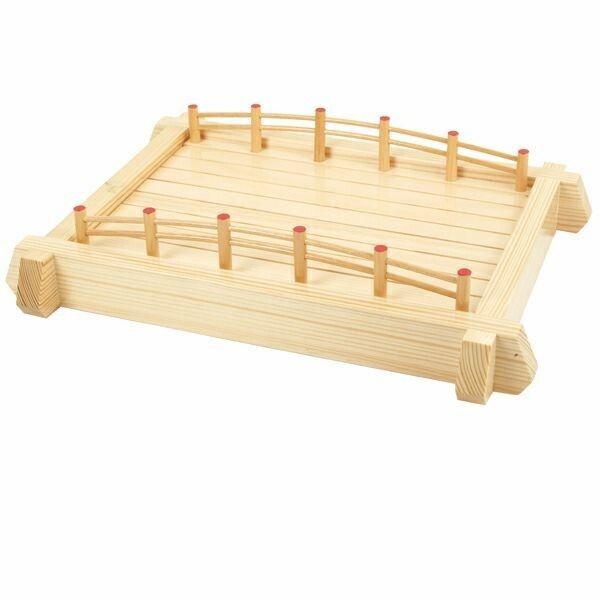 Manufactured from wood, this sushi bridge is exceptionally durable and will not crack or splinter over time. Use it in your Asian-themed restaurant to make your food presentation more memorable. Height: 2-3/4" , top: 18" x 22"